An excellent choice for athletes with wide pelvises. Covering: Microfiber. Foamed elastomer - High padding. Body: Carbon reinforced nylon 12. Frame: Stainless steel AISI 304 Ø 7.1 mm. Dimensions: 260 x 156 mm. Weight: 375 grams. An excellent choice for athletes with wide pelvises. Covering: Microfiber. Foamed elastomer - High padding. Body: Carbon reinforced nylon 12. Frame: Stainless steel AISI 304 Ø 7.1 mm. Dimensions: 260 x 156 mm. Weight: 375 grams. 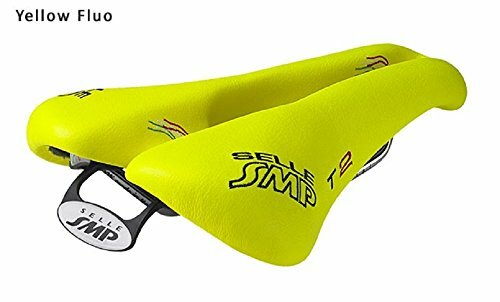 If you have any questions about this product by Selle SMP, contact us by completing and submitting the form below. If you are looking for a specif part number, please include it with your message.